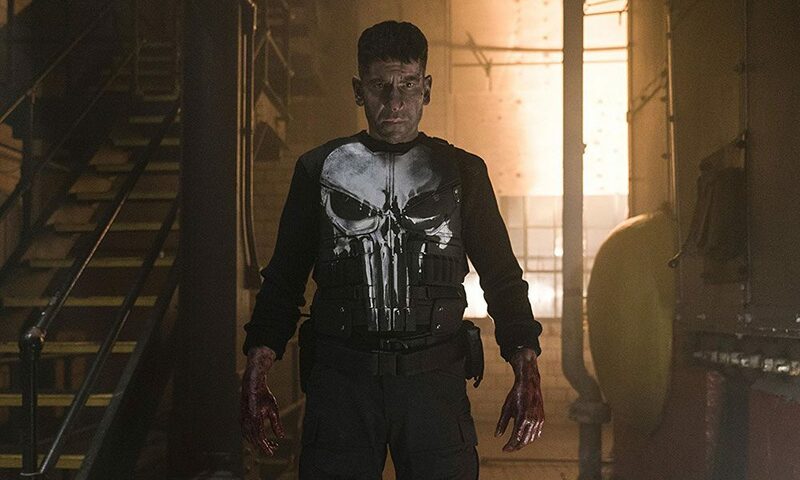 Second season of the series, starring Skidmore alum Jon Bernthal, to start streaming in 2019. When I was a kid growing up in Saratoga Springs in the 1990s, the place to geek out on comic books was Spa City Comics on the bottom floor of the Saratoga Marketplace on Broadway. I would usually just go in on a Sunday and chill, flipping through the back issues and marveling (no pun intended—I think) at the pricey “key” issues and first appearances encased in hard plastic on the back wall. I was always an Amazing Spider-Man guy, buying anything and everything having to do with the photojournalist-turned-web-slinger. I quickly became obsessed with the storyline—and its countless superheroes and villains. I mean, at this point, I’d be buying the comic for an investment; it’s no secret what’s going on within its pages; The Punisher has gotten his own standalone comic series and countless offshoots, as well as three major motion pictures (the first of which starred Dolph Lundgren as the title character). The plot is basically this: New Yorker Francis “Frank” Castle, who witnessed the death of his wife and two children in Central Park, becomes a one-man wrecking crew (à la Charles Bronson in the Death Wish movies), murdering bad guys hither and yon, all in the name of revenge. So basically, for the last 44 years, the bodies have just been piling up—and comic book readers and moviegoers have eaten it up. Enter streaming giant Netflix, who in November 2017 launched its own 13-episode series, aptly called The Punisher, which stars Walking Dead (and Skidmore College!) alum Jon Bernthal in the titular role. (It’s actually a spinoff of Netflix’s Daredevil series, in which Bernthal appeared as the character during its second season.) The show was green-lit for a second season just a month after hitting Netflix, and season two has already been tabbed for release in 2019. It’s been filming in a number of locations, but film crews recently set up shop on Monday, July 16, in Albany, which has seen its share of blockbusters filming within (or just outside of) city limits throughout the years. According to the local CBS affiliate, filming of the Netflix series has been causing a traffic snarl, and film crews will be apparently be onsite through Saturday, July 21. So if you’re a fanboy or -girl, now’s your chance to catch a glimpse of a Marvel universe series in action. But don’t make any noise when film’s rolling. Or you might be punished.